Spokesperson for the GFA Normalization Committee has reiterated that the Premier League clubs' impertinence towards the Kofi Amoah led Committee resulted in the cancellation of the proposed Special Competition. The competition, although a stop gap one, was particularly key because it was set to decide Ghana’s representatives at next season’s CAF inter-club competitions. The Normalization Committee stated that the decision in a press release, although a difficult one, was necessary due to the inability to reach a common ground with all the clubs. 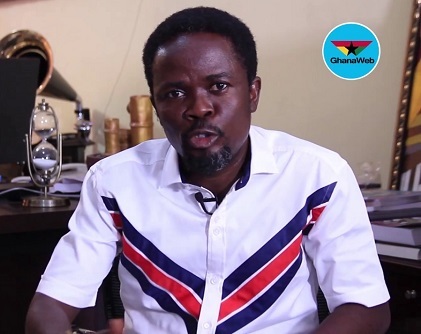 According to the Committee's spokesperson, as at Monday which was the deadline day to concluded the schedule, only Asante Kotoko and Dreams FC had replied an invitation letter by the committee, confirming their willingness to participate in the competition - This Dan Kwaku Yeboah described as unacceptable and a sign of disrespect to the Committee. “We sent them a letter to confirm their participation in the tournament but as at yesterday, only Dreams FC and Asante Kotoko had replied our letter,” he explained on Happy FM. He further debunked claims that they had disrespected the Premier League teams by not disclosing the overall amount for the competition to them by also describing the actions of the Premier League clubs not to reply their letter as being also disrespectful. “If not disclosing the amount meant for the competition to the Premier League clubs was deemed as being disrespectful to them, then not replying our letter is also disrespect to us,” he stated.